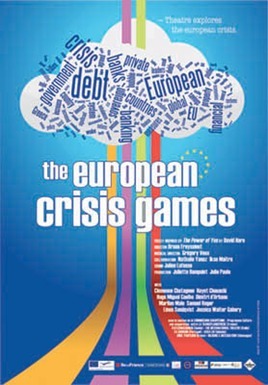 The European Crisis Games — Theatre explores the european crisis. Height European citizens are sorted out from the crowd to perform the European financial games. The European Union wants them to learn how finance works. They have to portrait economists, bankers, traders, academics… They have to understand the european economy, what big business means. How much money can they make? How far can they go? How much Europe can feel for such games?